Being overweight is a growing problem in our society. Recent reports show that more than half of us are overweight and at risk for the related health problems, such as diabetes, heart disease, arthritis, and certain cancers. If you've tried to lose weight and failed, or you're confused about the many weight loss programs and supplements available today you're not alone. Winning at Weight Loss shows you that you can achieve healthy, long-term weight loss with proper guidance and tools. enhance your weight-loss success with safe supplements. By following this step-by-step program you will lose weight safely, boost your energy level and improve your physical and mental well-being. Winning at Weight Loss will help you build the foundation for a healthier, happier life. 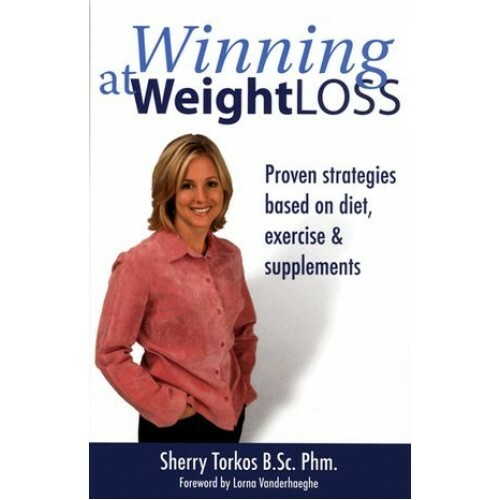 Pharmacist and health author Sherry Torkos interprets the most recent scientific research and offers a clear formula that balances the roles of diet, exercise and supplements and results in meaningful and lasting weight loss.